The only personal data Doan's Landscape currently collects through this website is the information you voluntarily give when you use this site. For example, you may use the message form to contact Doan's Landscape with your requests, questions and comments. When you send us a message or email, we ask you for your name and other contact information, such as your email address. Doan's Landscape uses the information you provide to respond to your email. This may or may not involve sharing the information with Doan's Landscape associates. 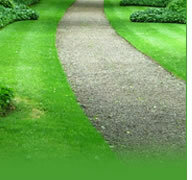 Doan's Landscape does not sell, rent, or lease your personally identifiable information. Doan's Landscape does not knowingly collect personal data from children under the age of thirteen. If you are under thirteen, please do not give us any personal data. Doan's Landscape collects anonymous information about the use of its website. This enables the us to compile statistics about our visitors and their usage of this site.